There was a time when I was experimenting with creating lenses on Squidoo as a lensmaster. There is just a lot happening at the moment, so squidooing is on the back burner for now. I did manage to produce a few lenses while I was there. One of them, my recipe for Bombay Aloo or Bombay Potatoes made it to the cover of Good Veg, an online magazine for vegeterian recipes powered by Squidoo. It is such an easy and delightful recipe, I cannot help but blog about it. The recipe uses some beautiful spices to flavour potatoes, transforming them into Bombay Potatoes. Mumbai, the erstwhile Bombay, is a vibrant city on the west coast of India. It is a city that eats a lot of potatoes in a variety of different forms. 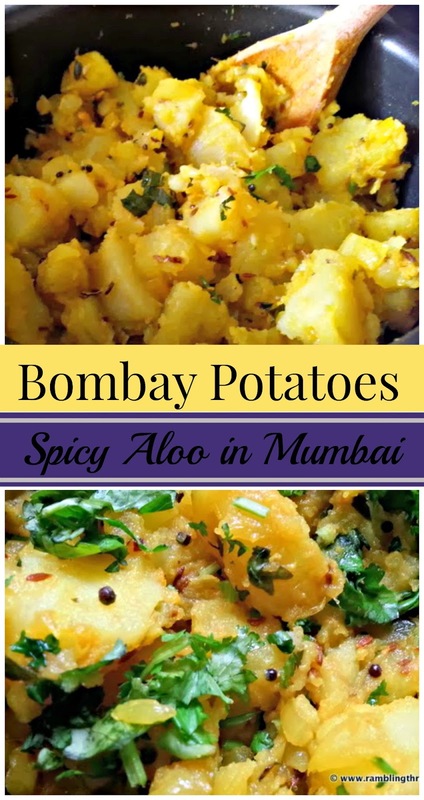 'Bombay Potatoes' go by the name of 'aloo sabji' or 'batata bhaaji' here. They are a divinely delicious blend of boiled potatoes and spices, and are exceptionally easy to prepare. My father is an avid fan of potatoes. So I grew up eating a lot of 'batata bhaaji', literally translated to 'potato vegetables'. It was an absolute favourite in our house. This is my take on 'Bombay Potatoes', with a little help from childhood memories of homemade 'batata bhaaji'. 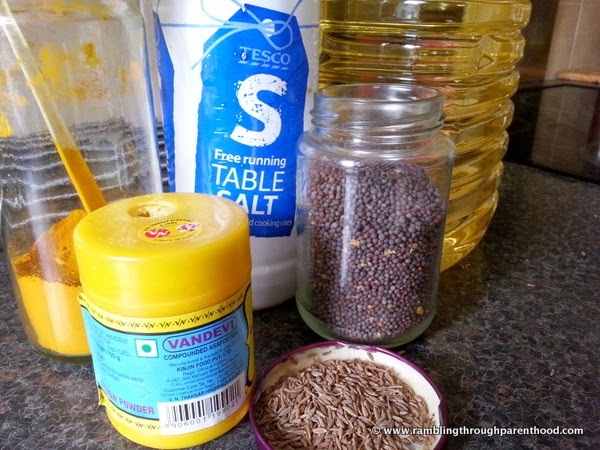 This recipe uses some very basic ingredients that form the backbone of a lot of Indian cooking. Most of the preparation time is the time it takes to boil (or in my case to pressure cook) the potatoes, allowing them to cool and then peeling and quartering them. You can prepare all the other ingredients while the potatoes are boiling. The actual cooking time is no more than 10 minutes. Heat the cooking oil in a medium sized pan on high heat. Once the oil is hot, turn down the heat to medium and add the mustard seeds. Allow them to pop and crackle without letting them burn. If you smell them burning, take the pan off the heat completely for a minute or so. Once the crackling and popping slows down, add the cumin seeds, the asafoetida powder and the turmeric powder to the hot oil. Stir all the spices into the oil and let them fry till you start smelling their aroma. You should be able to smell the cumin at this stage. Now add the green chilli and the curry leaves to the hot oil, stirring them into the other spices. Allow these ingredients to infuse into the oil. Add the grated ginger to the hot oil and stir for another minute. Now add the chopped onions to the spice mix and stir them in. Let the onions sweat and cook till they are translucent and pink. Do not let them brown. Now add salt to taste, and the boiled and quartered potatoes. Stir through to make sure all the potatoes are evenly coated with the spice mix. Continue to cook on medium heat, stirring intermittently. After about 5 minutes, you should notice the edges of the potatoes have started to brown. Take the pan off the heat. 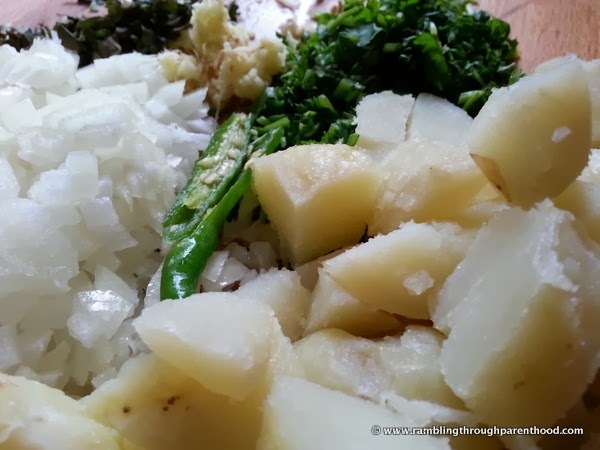 Transfer the potatoes into a serving dish and garnish with freshly chopped coriander. Bombay Potatoes are ready to be served. You can serve these Potatoes as a side to any main, be it vegetarian or non-vegetarian. They are traditionally eaten with rice and a lentil curry, or with chapatis, rotis, naan breads or parathas. They are best eaten hot. I host a great weekly Bloglovin' hop that you might enjoy. Drop on by! Wow! This looks lovely, I can almost smell it from here! Bombay potatoes are my favourite dish ever! Where would I get curry leaves from though and asafoetida powder - I have never heard of that!! Oh, such a delicious dish and you'd made it so beautifully. Mouthwatering! Drooling over this again today - it really does look mighty nice! I do love Bombay potatoes and yours look particularly delicious! Oh yum I will be pinning this to make at the weekend with some dhal and veggies for sure. Thanks. I've also added you on Gplus. This does sound like a delicious dish, I would love to make it. 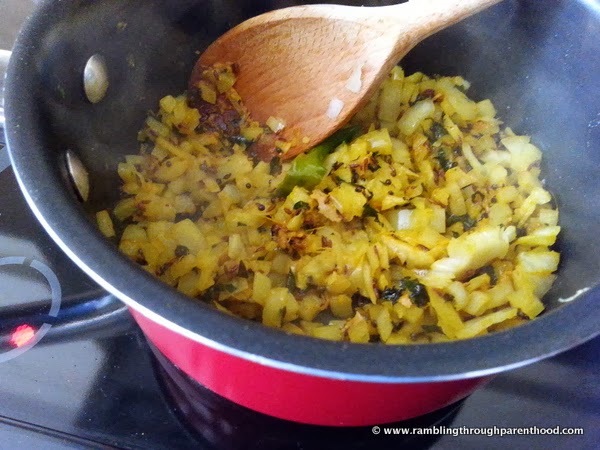 I love bombay potatoes and have always wanted to have a go at making them myself from scratch. I love potatoes, my mum always said it was our Irish blood! I've never heard of there being any debate about whether they are vegetables though, what are they if they are not? Pulses? 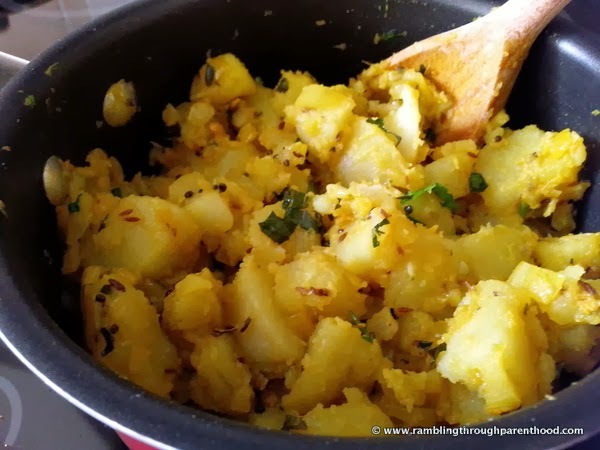 I adore Bombay potatoes, such an easy dish to make and so very tasty! 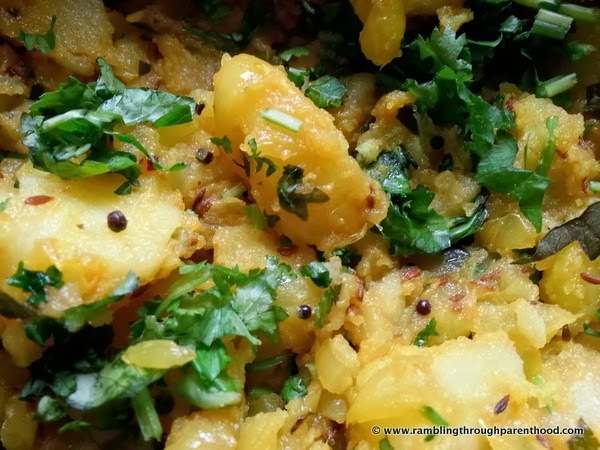 i adore bombay potatoes but have never made them, maybe i should! Ooh, that's making me feel hungry! Curry for dinner!! That looks delicious! I don't have many of those ingredients in my cupboard but you have inspired me to buy them and try this. I was looking for something a bit different for the weekend. Are curry leaves easy to get hold of? Yummmmmmm... I have just eaten dinner and yet my mouth is watering! 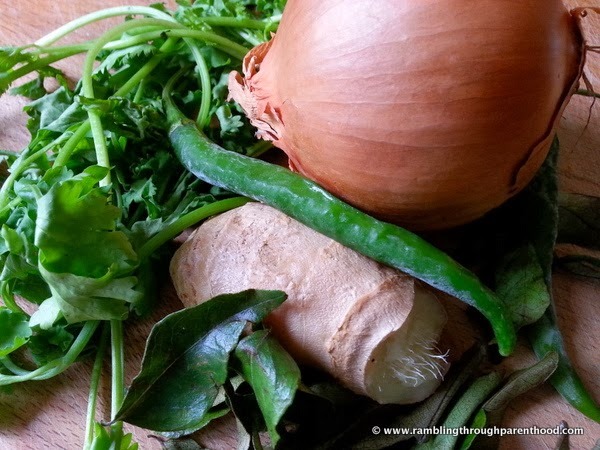 It is such a delicious and vibrant way to transform an otherwise plain vegetable. I rarely serve vegetables other than simply boiled or roasted but I have tried to cook more with herbs and spices since the new year so I will be giving these a try. This looks delicious. I love using spices in my cooking so will be trying this one out.